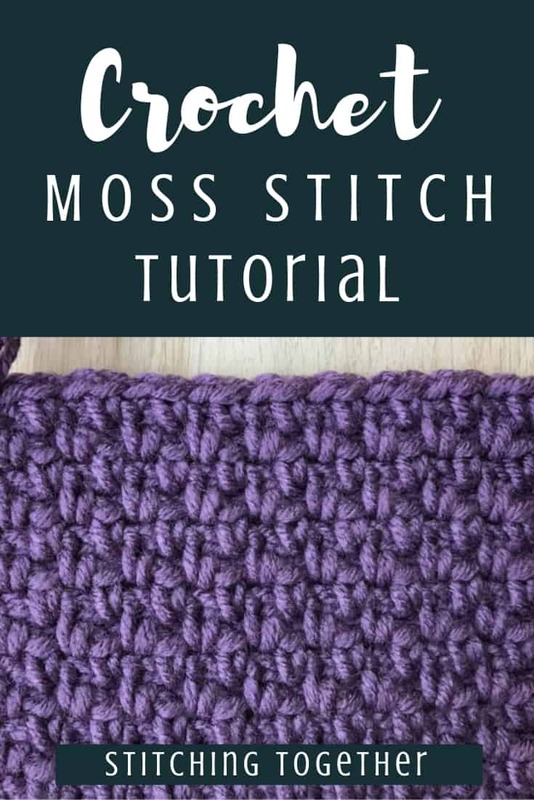 Learn the crochet moss stitch with this helpful, step by step moss stitch crochet tutorial which includes photos for both the right handed moss stitch and left handed moss stitch! 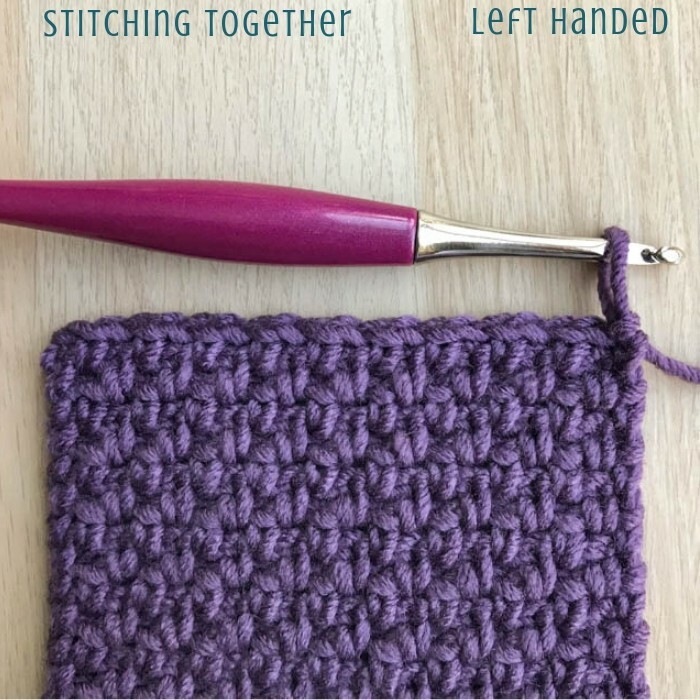 What is a moss stitch in crochet? 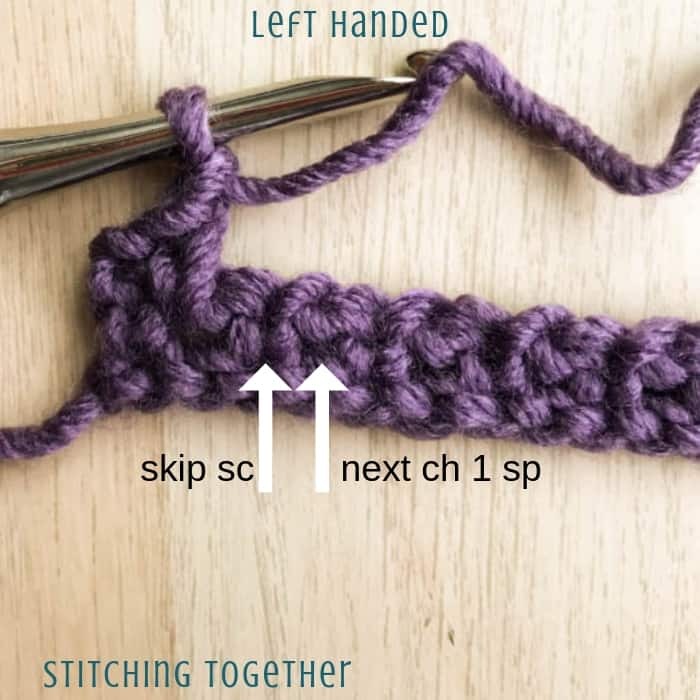 The moss stitch in crochet is a combination of stitches made by switching between single crochets and chains. 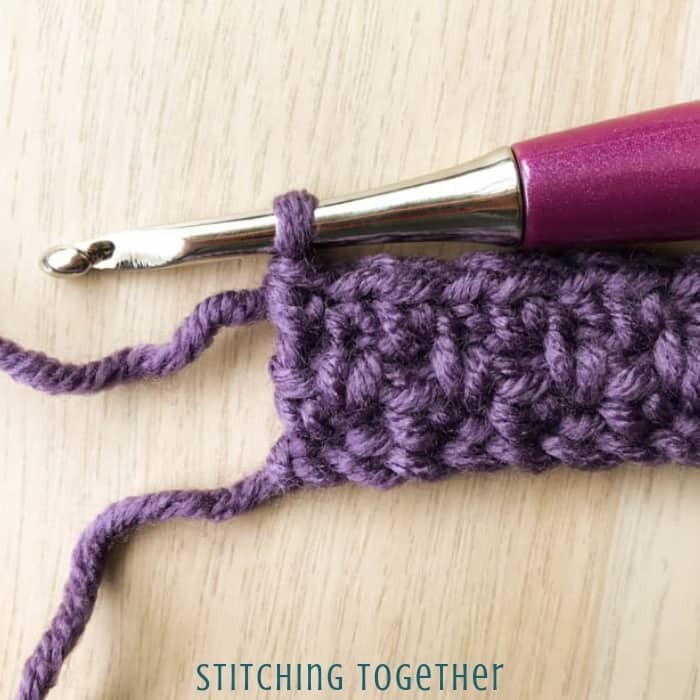 It is a beginner friendly crochet stitch pattern that you can easily learn once you’ve mastered single crochets, chains, and skipping chains/stitches. 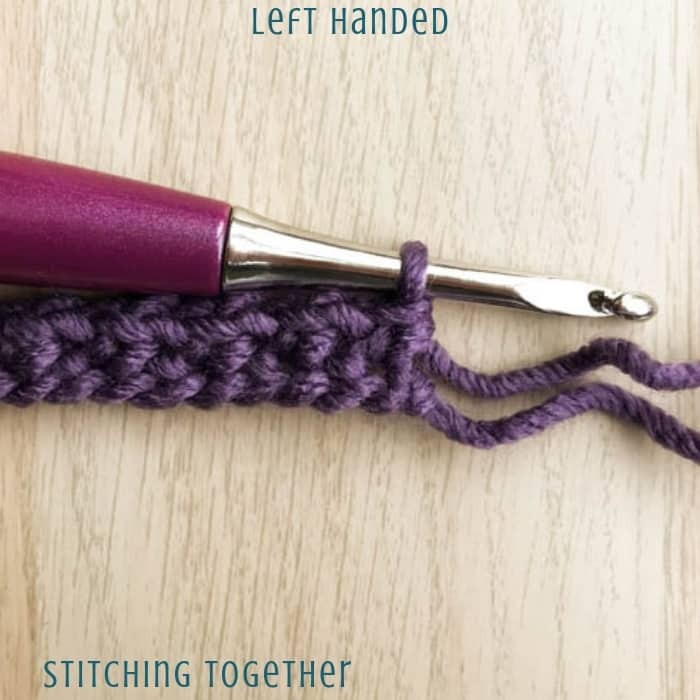 Where can I use the moss stitch? Pretty much ANYWHERE in any crochet project! 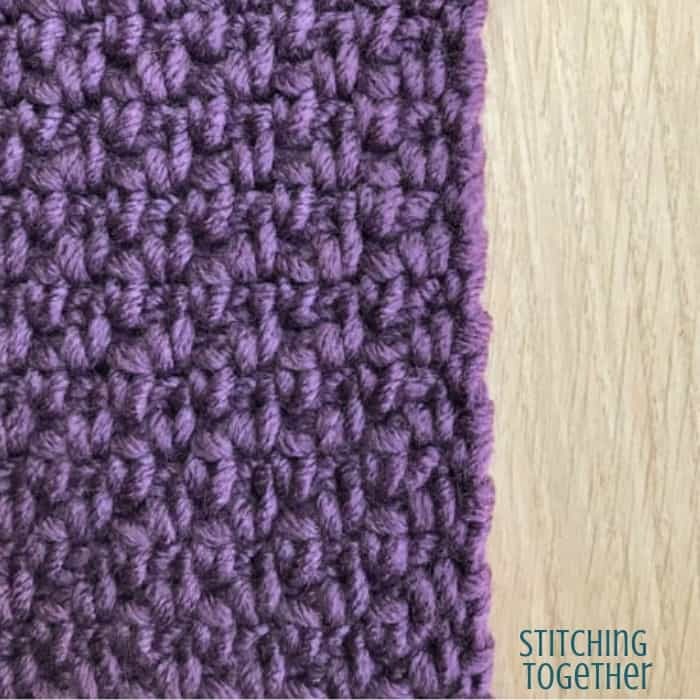 The moss stitch creates a flat and flowy fabric. 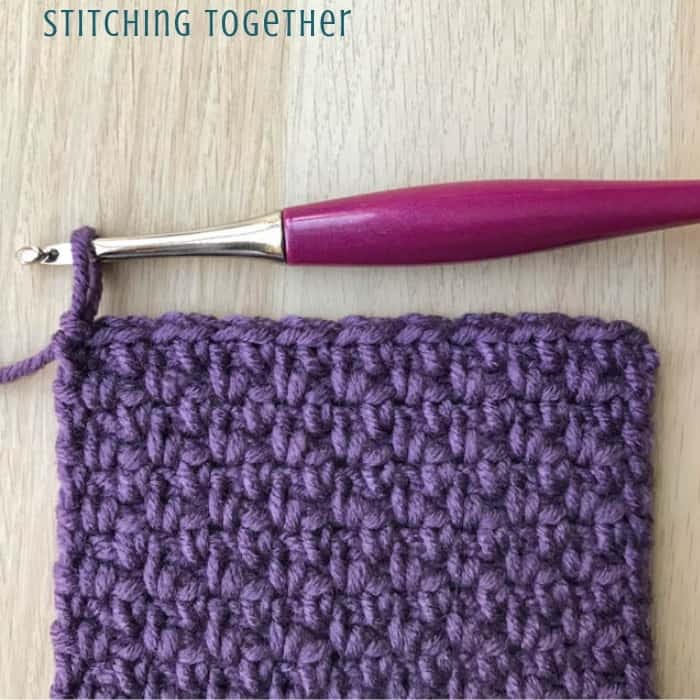 Even though you are creating little boxes of space by skipping stitches, the fabric is still solid, but it isn’t as dense as fabric worked in all single crochets. 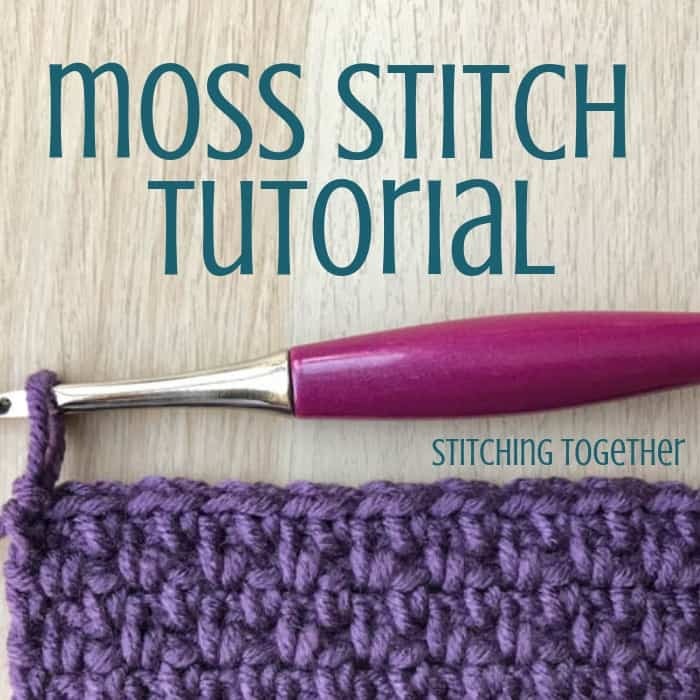 Unless you are wanting a highly textured and super dense fabric, the moss stitch will work! The moss stitch really shines when doing any sort of color stripe work. By varying how wide your strips are, you can create completely different and modern look. 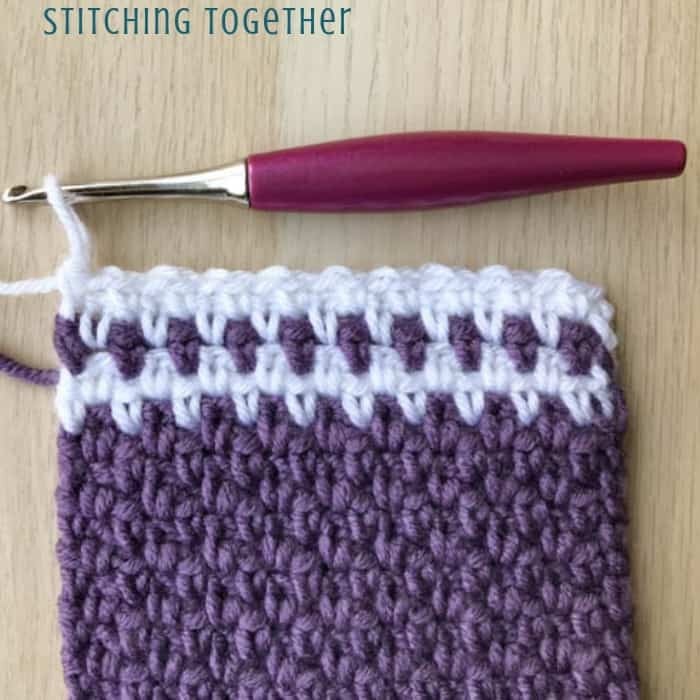 After you’ve learned how to crochet the moss stitch, check out some fun projects where you can use this versatile stitch pattern. Check out the moss stitch scarf pattern, the moss stitch ear warmer pattern, or the Multicolored scarf and use the crochet moss stitch! 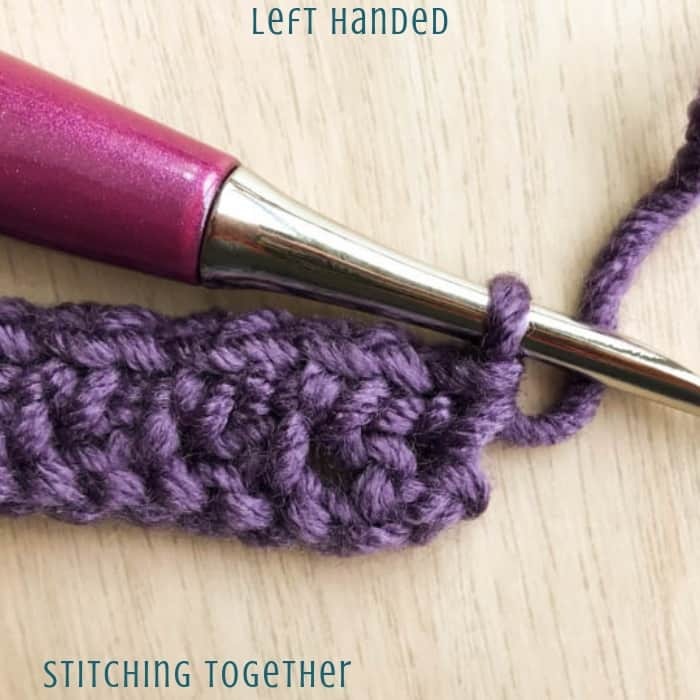 Then what is the linen stitch in crochet? 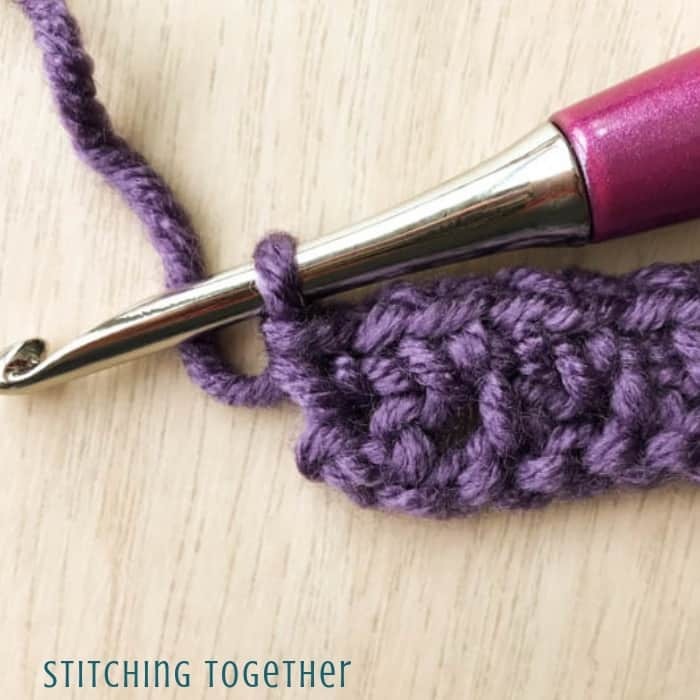 As I try to do with all my written tutorials, the step by step instructions are written out in complete sentences followed by the abbreviated version like you would see in a crochet pattern. This is to help those of you still learning to read patterns. By seeing the written instructions next to the abbreviations you can start to better understand how to read patterns! I should also point out that the way I start and finish each row of the moss stitch is a bit different than you normally see. 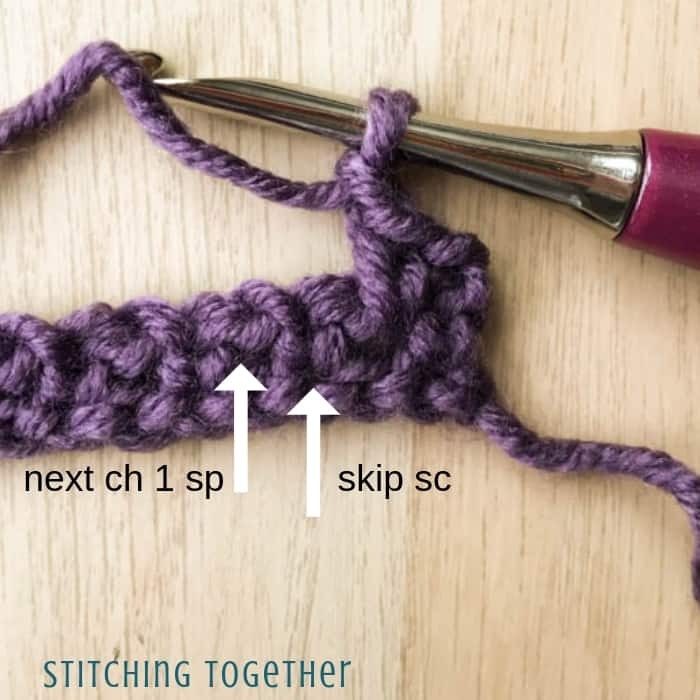 Most moss stitch crochet instructions will start each row with a chain 2 and will count that as the first single crochet and chain 1. When you get to the end of that row, you work into the space created from the starting chain 2. 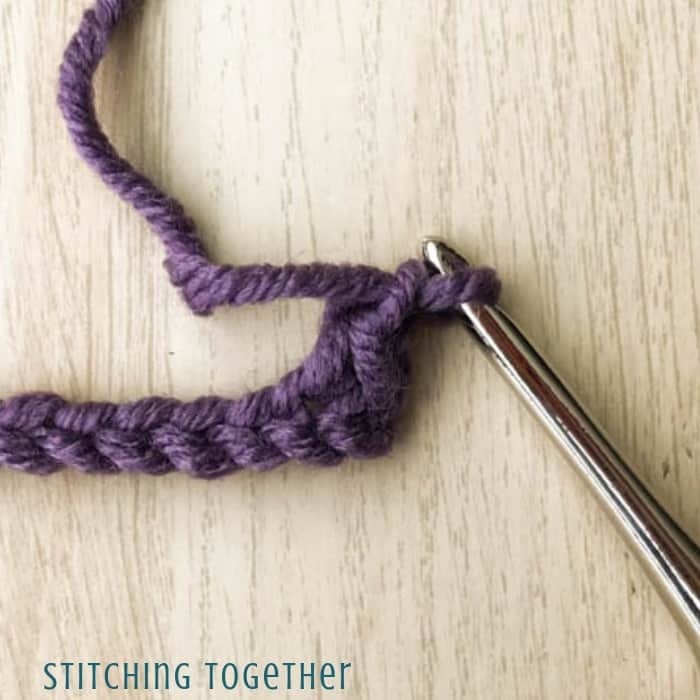 Starting with a chain 2 creates a rather uneven and bumpy edge in the fabric which isn’t as desirable especially if you don’t plan on putting a border around your project. 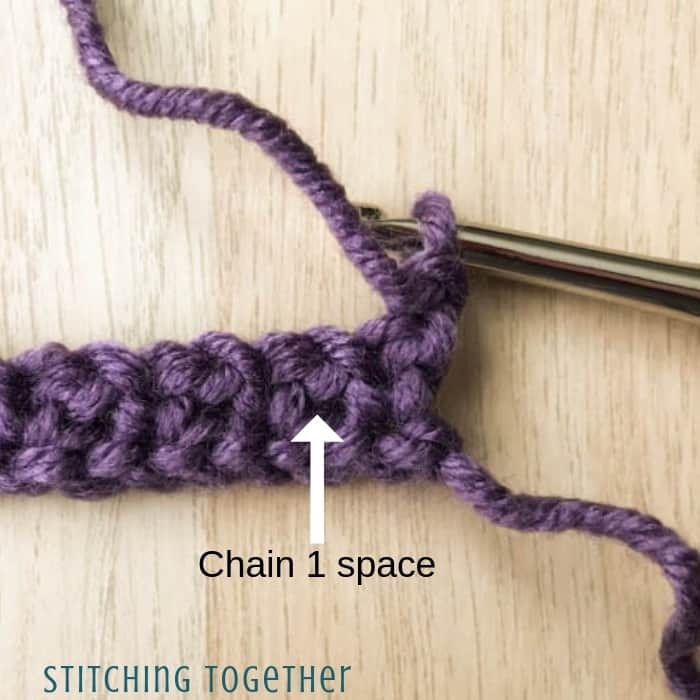 As you read through the tutorial, you’ll notice that you start the row with a chain 1 (the turning chain) and work the last stitch of each row into the turning chain of the row below. This gives a nice and clean edge to the fabric! 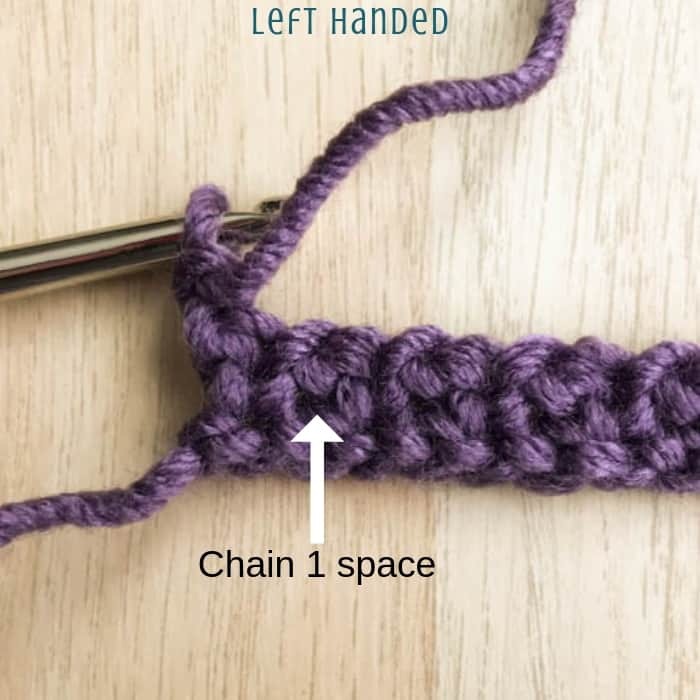 I encourage you to look for another moss stitch tutorial which uses the chain 2 method and make swatches using both methods to see which you prefer. 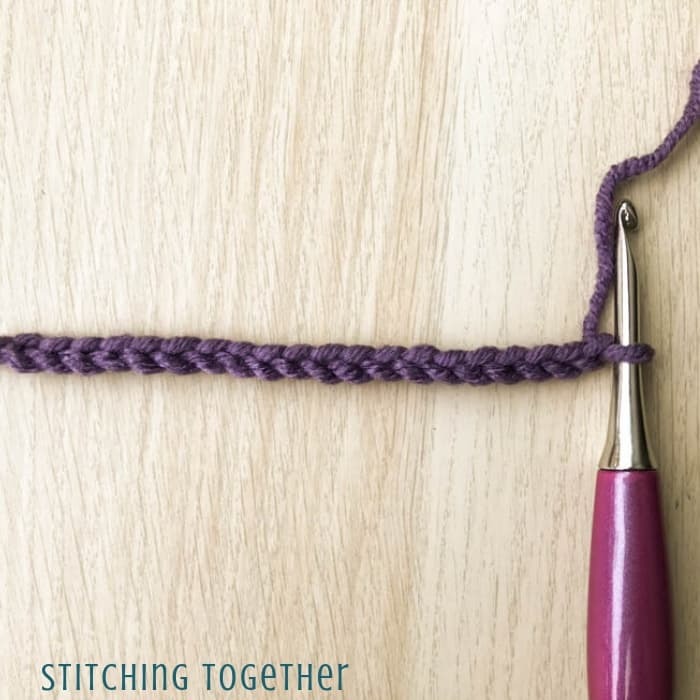 Please save this tutorial on Pinterest and share it on Facebook! Head down to the comments section if you have any questions. 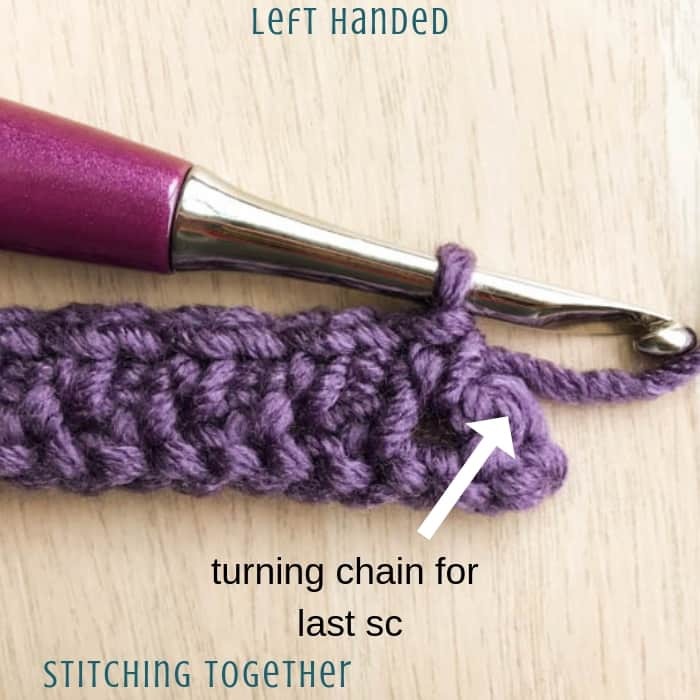 Row 2: Chain 1 (this is your turning chain), single crochet into the first chain 1 space in the row below, chain 1, skip the single crochet in the row below and single crochet into the next chain 1 space. 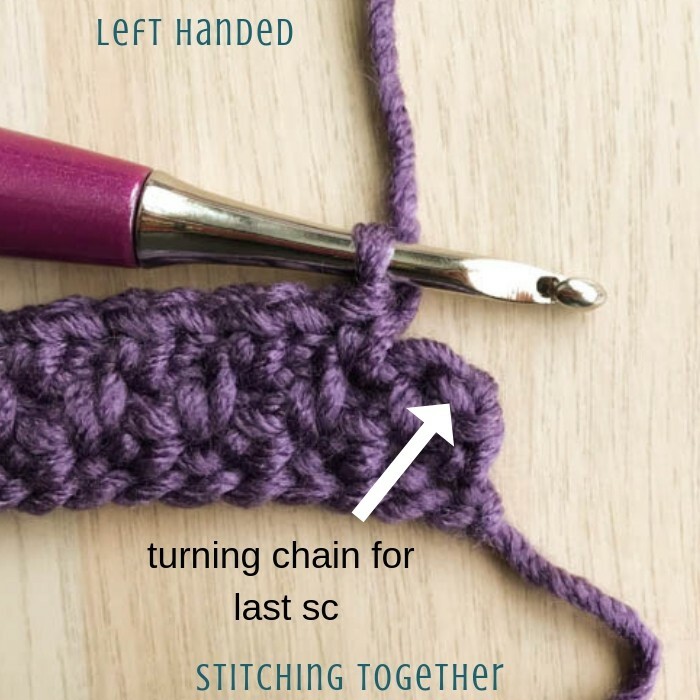 Repeat chaining 1, skipping the single crochet in the row below and single crocheting into the next chain 1 space until the end of the row. 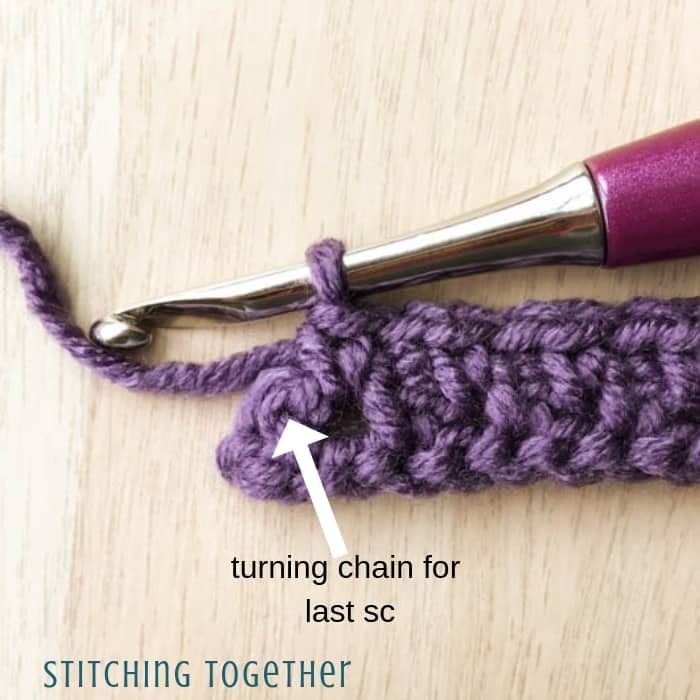 The last stitch will be a sc into the turning chain. 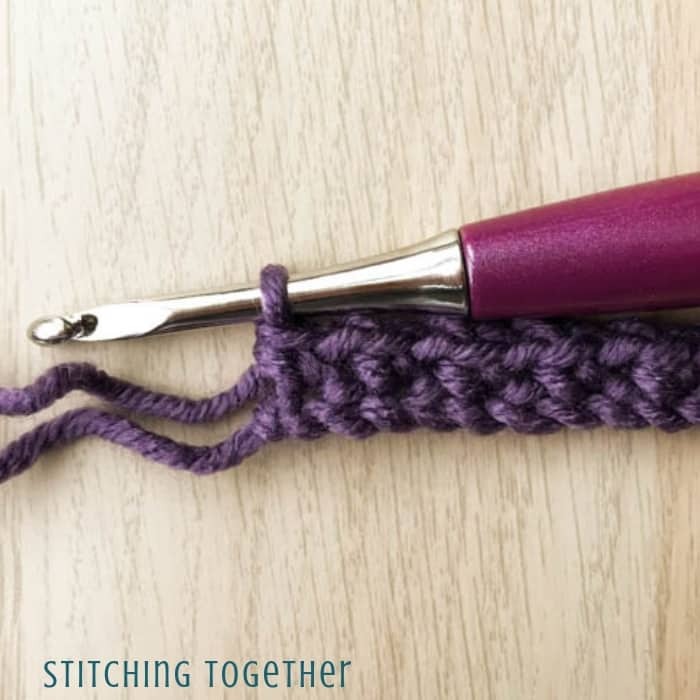 To continue the pattern simply repeat row 2 until your project reaches the desired length. Row 2: *ch 1, sc in ch-1 sp, repeat from * to the end of the row, putting the last sc in the tc, turn. 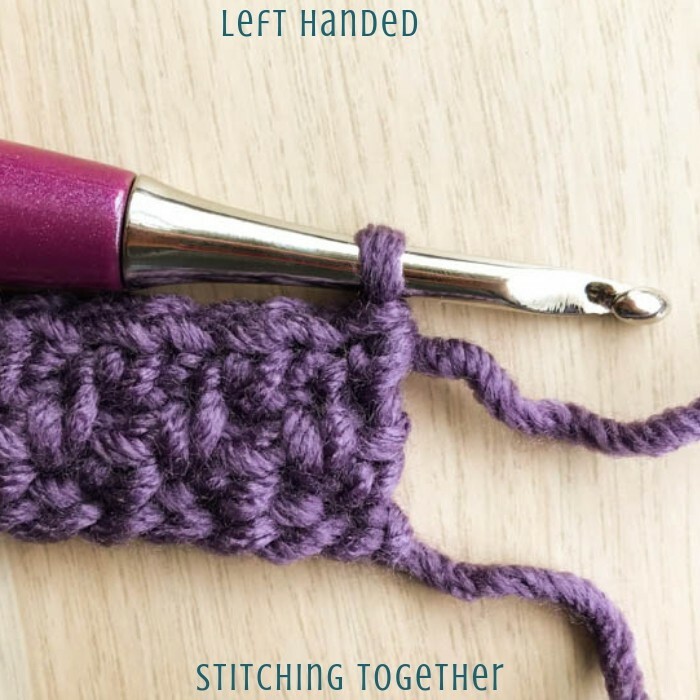 Moss Stitch Crochet Photo Tutorial: Step by Step photos for right and left handed crocheters. 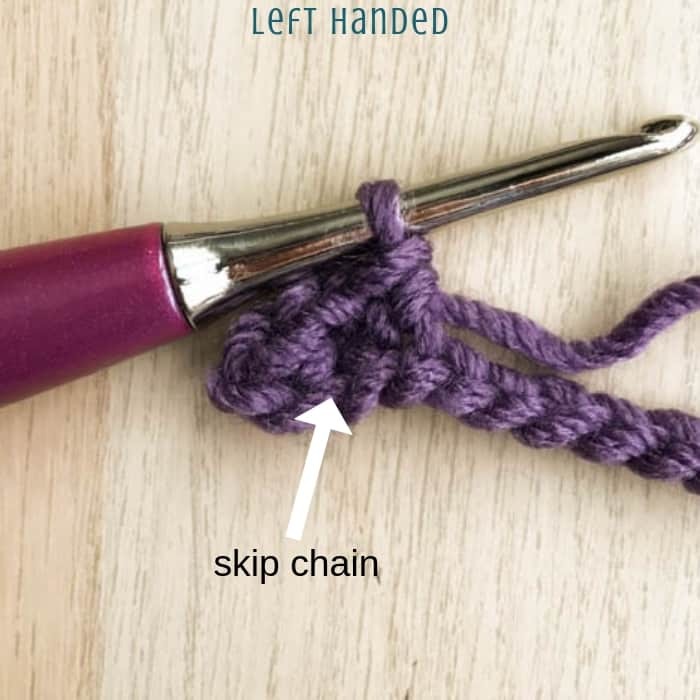 Repeat chain 1, skip a chain stitch, and single crochet in the next chain. (ch 1, sk 1 ch, sc) until the end of the row. 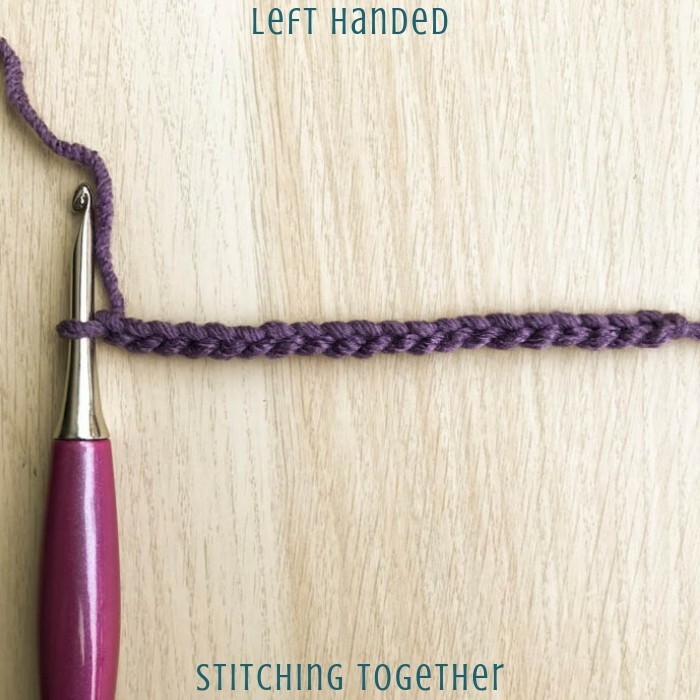 The last stitch should be a single crochet into the last chain. 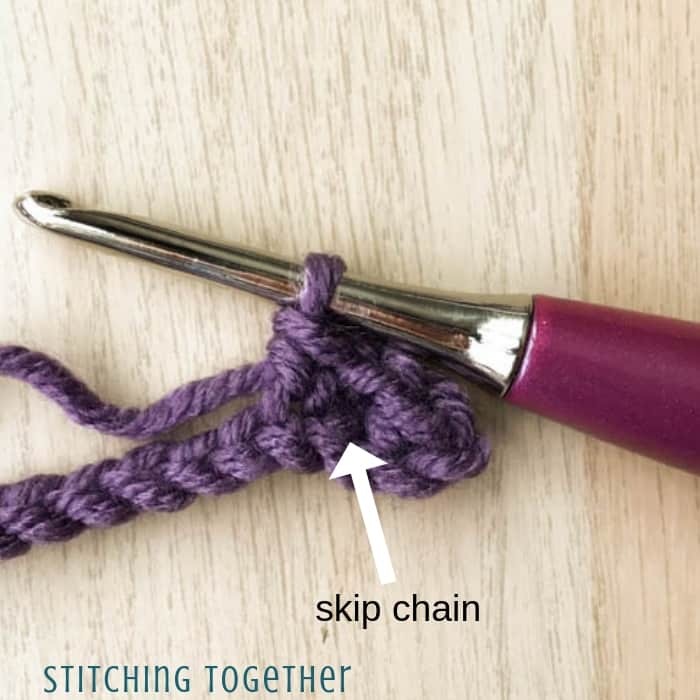 Repeat chain 1, skip the single crochet in the row below and single crochet into the next chain 1 space until the end of the row. 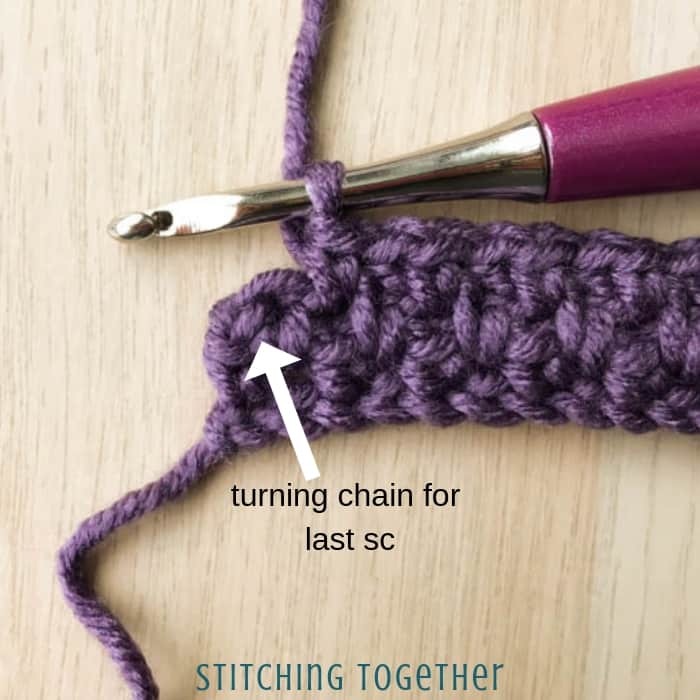 The last stitch will be a sc into the turning chain. 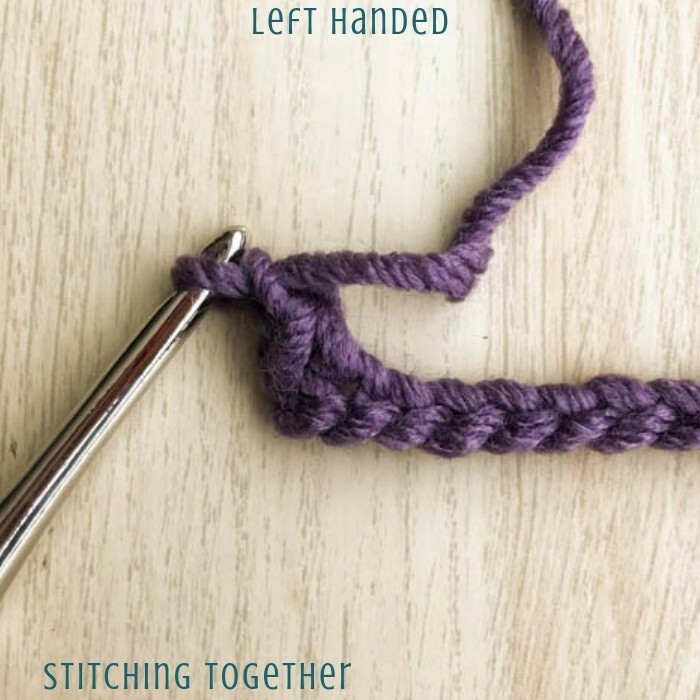 Now that you’ve mastered the moss stitch, why don’t you try them in some moss stitch crochet patterns? Head over to the moss stitch scarf pattern, the moss stitch ear warmer pattern, or the Multicolored scarf and put your new stitches to work! 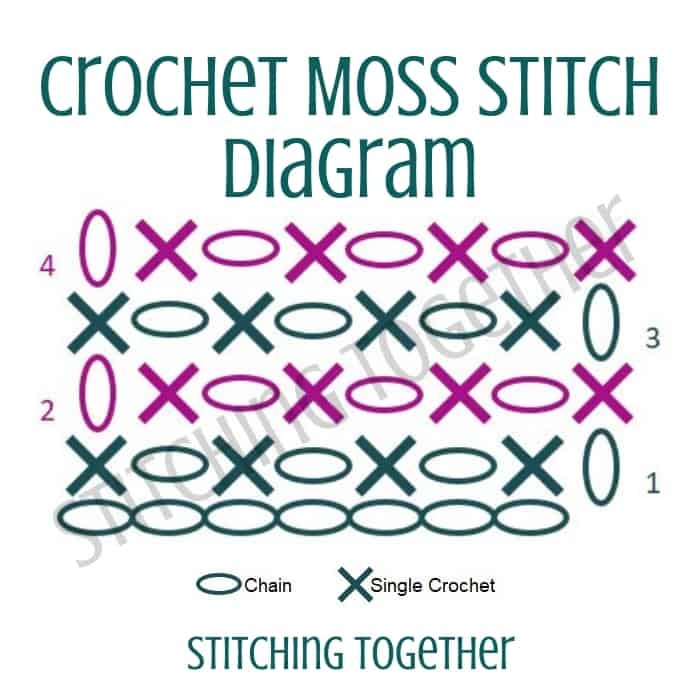 Are there any other moss stitch crochet patterns you’d like to see? Let me know in the comments!